publish in Images on April 5th, 2008 by tiki god | Report This Post | Click to Add to favorites | Tags: Humor, Religion, Science! Om nom nom nom. I am eatting your religion…. nom. 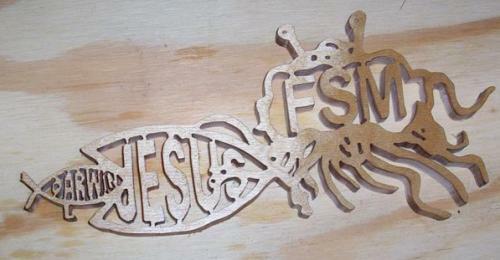 I think the Darwin fish should be eating the Jesus fish. it’s eating it from the inside.